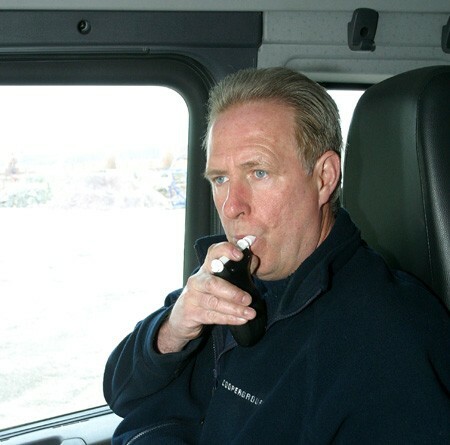 Police should be able to breathalyse drivers on a random basis according to an influential committee of MPs. As it stands, officers can only test after an accident or must have sufficient grounds to suspect that a driver has been drinking. "We are calling for the police to be given an additional power to require preliminary breath tests as part of any designated drink drive enforcement operation," said the Transport Committee's chairman Louise Ellman. The committee has also called for the legal limit to ultimately be lowered to almost zero from its current level of 80mg/100ml, but suggests that should be a long term plan and is not something that should be brought in immediately. "In the long term, we believe that the Government should aim for an 'effectively zero' limit of 20mg/100ml but we acknowledge that is too great a step at this stage," the report said. The report clashes with the government's decision to scrap non-essential advertising, including the normally traditional winter drink-driving campaign. "We do believe enforcement of drink drive law in Great Britain must become much more visible, frequent, sustained and well-publicised," Ellman said. The AA said two-thirds of 18,000 drivers it had polled backed a cut in the limit to 50mg/100ml and agrees that the cut to almost zero would be too great a step. "In a sense the move from 80mg to 20mg is skipping a generation and hence may be more difficult to gain public support," said AA President Edmund King.